I first got to know Ted Hayes almost 20 years ago when I was about to be appointed the NSM curate in Whitechurch Parish. Although we both lived in Glenvara Park, we did not know each other at the time. Canon Horace McKinley was apprehensive because I have never learned to drive, but Ted was a loyal pillar of the parish for many years, with a commitment to the Seamen’s Mission and Christian broadcasting, and Horace rightly guessed that we would enjoy each other’s company. Perhaps Horace also realised that I would enjoy Ted’s story-telling. So it was, that over the years I got to hear many of the stories Ted had to tell and that became well-known to me as Ted became a good and cherished friend. 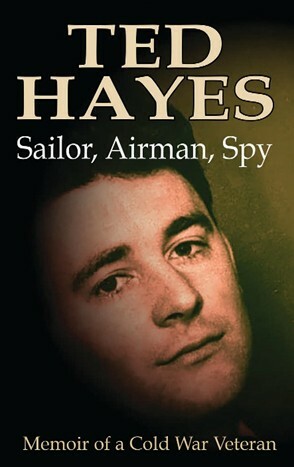 John Le Carré introduced us to Tinker, Tailor, Soldier, Spy, but Ted Hayes introduces us to his story as Sailor, Airman, Spy. But this is a story that takes the reader from a childhood in Ballsbridge and at Mountjoy School and in Ringsend, to seeing the world with the merchant navy, to joining the RAF, which sent him to Scotland and to West Berlin, when it was completely isolated by the Berlin Wall and the Iron Curtain and surrounded by East Germany. He recalls with humour how the advantage of knowing no more than the Lord’s Prayer in Irish gave him access to a training programme that made him fluent in German and Polish, preparing him for his time in West Berlin at the height of the Cold War. 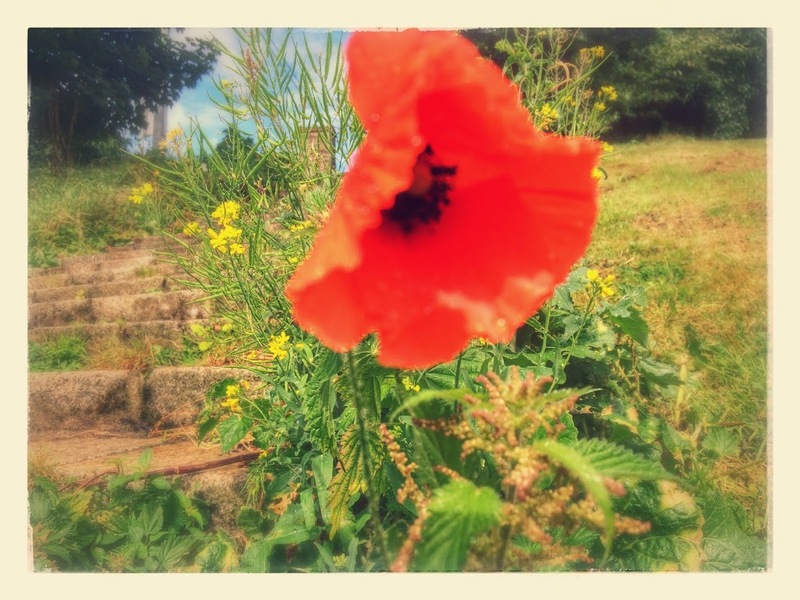 Ted and Annette were married in Berlin, but even the story of how he was left waiting at the altar, not for Annette but for a hungover chaplain, is told in Ted’s own inimitable way. Throughout this book, there is a constant reminder of Ted’s love for Annette and their shared pride in their wide family circle. Annette’s father was originally from Wexford, and when Ted moved to Oulart outside Enniscorthy he was so pleased to tell me about each new friend he made, and how they shared some aspect of my connections in Co Wexford, from church life to local history, politics or sport. It is never a good idea for one friend to review another’s book, unless an editor is quite sure that the friendship is not going to compromise the reviewer and the review is not going to damage the friendship. But as I read this book, I enjoyed revisiting many of the stories Ted has shared with me. They have been brought together in this one book with the encouragement of shared friends in Wexford, including Michael Freeman and Celestine Murphy. There is a certain irony that I missed the launch of Ted’s book – not because I have moved to Askeaton and the Diocese of Limerick, but because I was in Berlin on the very day the book was launched, actually visiting the Brandenburg Gate and Checkpoint Charlie, and criss-crossing the line of the former Berlin Wall that is much part of Ted’s story in this book. There is one united, group service in the Rathkeale and Kilnaughtin Group of Parishes on Sunday 11 November 2018 to mark Remembrance Sunday 2018. 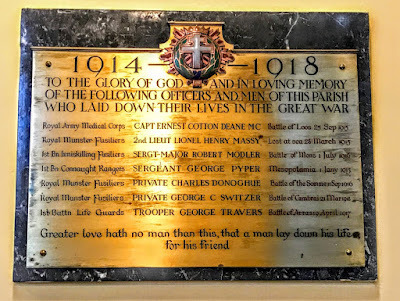 The service in Holy Trinity Church, Rathkeale, Co Limerick, at 11 a.m. on 11 November 2018 is a service to mark the end of World War I, followed by a celebration of the Holy Communion. Psalm 4; Revelation 1: 1-7; John 15: 9-17. The choice of hymns, canticles and music is often a difficult task for clergy and readers alike. To help develop skills and confidence in this area, the Revd Rod Smyth of Nenagh and Ms Rosemary Smyth are leading workshops for clergy and readers at Saint Mary’s Rectory in Askeaton, Co Limerick, on Monday 12 November next. Rod and Rosemary hope to tackle the thorny problems faced by people who have difficulty in selecting hymns for Sundays, and advising about appropriate hymns for Baptisms, weddings and funerals. How do I select appropriate hymns that reflect the theme of the readings, the sermon and the season? Will they be able to sing them? How do I avoid being repetitive? How do I find hymns that meets the spiritual needs of people throughout the parish? How do I introduce new material? Should we be singing the psalms and the canticles? This programme is offered in two sessions: from 11 am to 3.30 for day-time participants, and from 7 pm to 9.30 pm for people in ministry who are also in secular ministry.